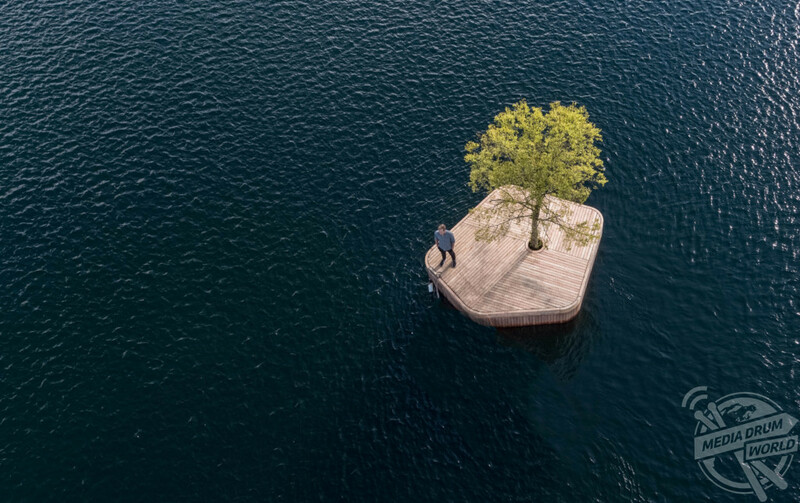 STUNNING pictures have revealed the incredible 270-sqaure-foot floating island that is being used as a new public space for people to meet up. Striking images show the island from above as a man relaxes on it while his boat is docked. Other photographs show the single tree that sprouts out from the middle of the island providing with some greenery. 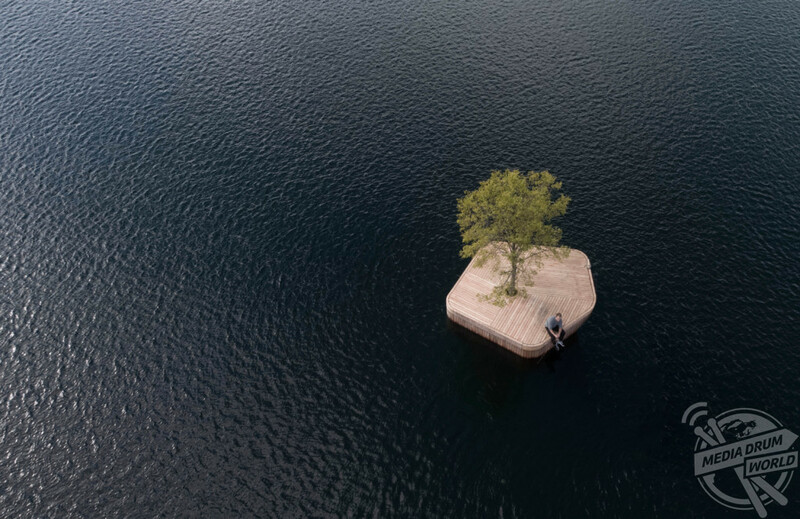 The floating island has been launched as a prototype in Copenhagen, Denmark, by architect and designer Marshall Blecher and Magnus Maarbjerg from Studio Fokstrot. 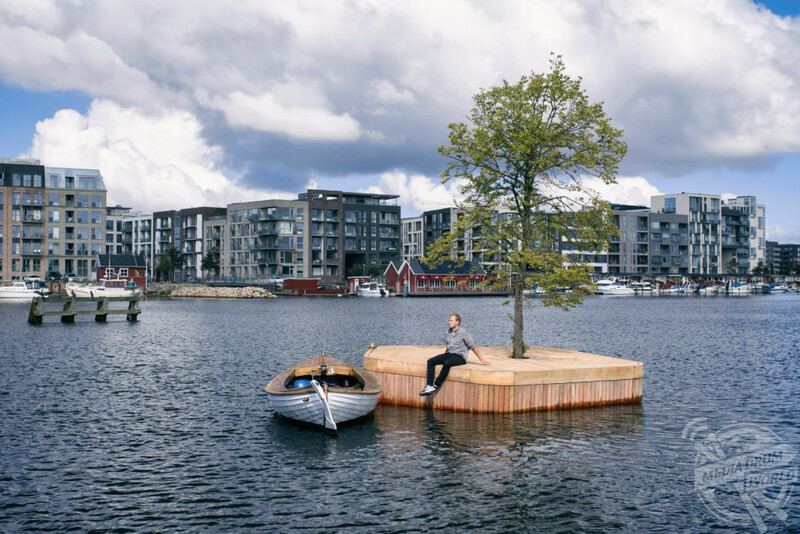 The island is the first step in the ‘Copenhagen islands’ project which will see a collection of islands floating through the city, bringing life and activity back to the former industrial harbour side. The first prototype ‘Ø1’ (after the single letter Danish word for island) was recently launched and can be found floating around the south of Copenhagen harbour. 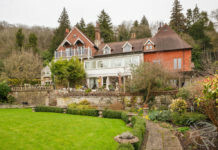 It is open to the public and has so far been used for barbequing, stargazing, winter bathing, by local fishermen, and has hosted some small events. 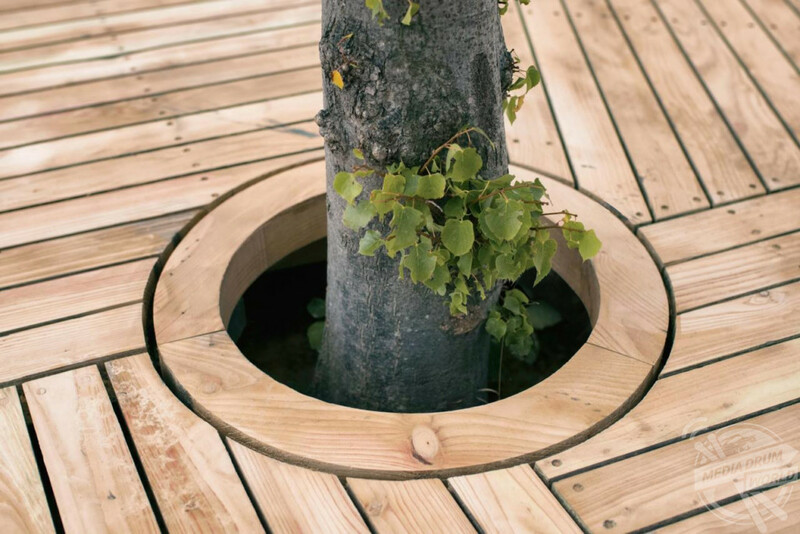 The 270-square-foot island was constructed by hand in the boatbuilding yards in the south harbour of Copenhagen using traditional wooden boat building techniques and features a 6m linden tree growing at its centre. The ‘Copenhagen islands’ project will see an archipelago of similar floating wooden islands scattered around the harbour supporting various functions. 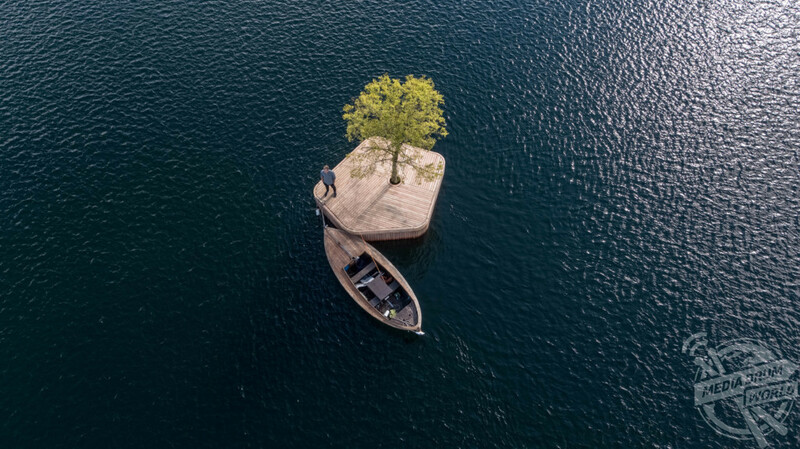 A floating sauna island, floating gardens, floating mussel farms and a floating diving platform could be used freely by boaters, kayakers and swimmers. The clear waters of the inner city harbour are being enjoyed by thousands of people every day with water that is now clean enough to swim in and eat some fish from. ‘Copenhagen islands’ will make the most of this new paradigm and provide a totally new type of public space for people to use as they please. 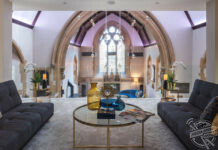 “The islands could be brought together in the wider parts of the harbour for events and festivals, or moved to catalyse activity in newly developed or underused locations,” suggested the team. Marshall Blecher & Fokstrot are working on a range of other projects in the harbour including a floating fish market and a floating cabin with the broader goal of reimagining the relationship between cities and the sea in a time of rapid urban development and sea level rise. 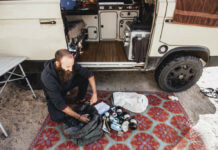 The prototype was built with the support of Konstfonden and Havnekultur 365. 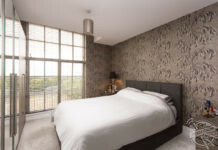 Help was also provided by SITAS (Scandinavian Instant trees), Susens Bådbyggeri and Syddjurs Savverk.